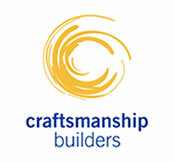 Based in the South Eastern Suburbs of Melbourne, Craftsmanship Builders have been undertaking quality building for more than 20 years. We specialise in both residential and commercial projects. Our passion is our workmanship, loyal team, and the special relationships we build with our clients.